Stop Presenting the Patient with Options! Many optometric practices are set up to offer optical products at a few different levels of quality. It is often a good/better/best scenario for products like progressive lenses. We also see this in antireflective coatings. In many cases, lenses are presented to the patient in packages with several features bundled together and those may also be positioned as good/better/best or at least good/best. Vision plans contribute to this tier pricing set up because the benefits they provide list all the lens options and price codes. Optical laboratories drive this system as well because they manufacture so many different brand names and levels of quality. Once the products are listed in tiers on a fee schedule or in the office computer system that is naturally the way optometrists and opticians present lenses to patients. It is how we think of optical products. We need to know what level the patient wants in order to design a pair of glasses and place the order. Don’t get me wrong; it is good for eye care professionals and the public to have choices. But we don’t have to offer them all to patients. Presenting several options is extremely common in eye care, but I don’t think it is the best approach. In my experience most patients want their doctor and optician to recommend the best treatment plan. They really don’t want to try to learn about all the differences in lens design and manufacturing. Most patients are not knowledgeable enough in the visual system and optics to make an informed choice. They rely upon us as professionals to give them what will work best for them. Here is where our recommendations should also reflect our philosophy of how and where we practice. If our market niche is to be the best in eye care, then we should prescribe the best first. If our market position is one of low-priced eye care, we should prescribe a very economical option. Most ODs in private practice want to position themselves as the former; representing the best, not the cheapest. I think the best approach to prescribing lenses and designing glasses is to keep it extremely simple and choose the highest quality product for each patient. I just choose the lens brand and design that I think is best. Either I or my optical staff will also recommend antireflective lenses in almost every case. We don’t ask if they want it. Of course, the patient can always decline or question any product, but we start with the assumption of going with our recommendation. We also determine when high index is appropriate and what specific index is needed. We bring the patient in on a few preferences like photochromic tints and of course the frame selection. 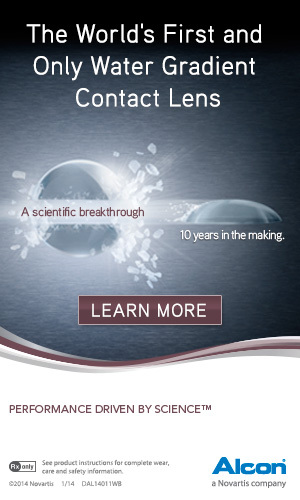 The vast majority of patients never question the lens design or level of quality. They are happy to let that be our decision. If the patient is concerned about cost, we are very understanding and sensitive to that and we then move to the next lower tier of lens design and we will present even more options if needed. Our approach to not offer options not only provides the best eye care, it also increases practice profitability. We charge a premium price for the best products and those prices are reflected throughout the marketplace. Even when we work with vision plans, which mandate specific prices, we earn the highest margin on the premium products. So that is what we offer first. We also find that our dispensing process moves faster when we just go with the best.